I’ll do that when I ___________. I’ll buy that when I ________. I’ll be better when I___________. If you are putting off living your life until you reach an unrealistic goal, you might miss out on living it at all. Learn how to rewire your thoughts, recharge your diet, and find the energy to start living fully in just 10 Days. You can lose weight, release stress, and move towards your most unreachable goals in 10 Days flat. Do what you want, use what works, and leave the rest behind. A detox isn’t just a fad diet or a temporary fix. A detox is a kickstart to help you break old habits, form new ones, and make changes that will last a lifetime. A detox cleans up your food, your exercise and your daily habits that keep you feeling weighted down. You eat healthy food, learn how to exercise for energy and get rid of the negative thinking that clogs your brain. – Live healthy and happy. Because you deserve it. It is not about starving yourself, feeling deprived and exhausted or about dropping 20 pounds in 10 days. It is about helping you feel lighter, brighter and be the absolute best, most real version of you. Detoxing undoes what you do in your everyday life. When you eat too much, drink too much, exercise too little or the wrong way, and let the stress and sleep deprivation pile up, you let toxins and tension build up. All this build up can wreak havoc on your body, stress you out more, and continue the cycle. All of this leaves you unenergized, unhealthy, and mostly likely feeling a little lackluster in your life. This is where a detox comes in. It will help you to undo and reverse what your everyday life does, so you can recharge, get energized and love the healthy, happy life you deserve! – Learn to have fun with exercise and actually look forward to it! 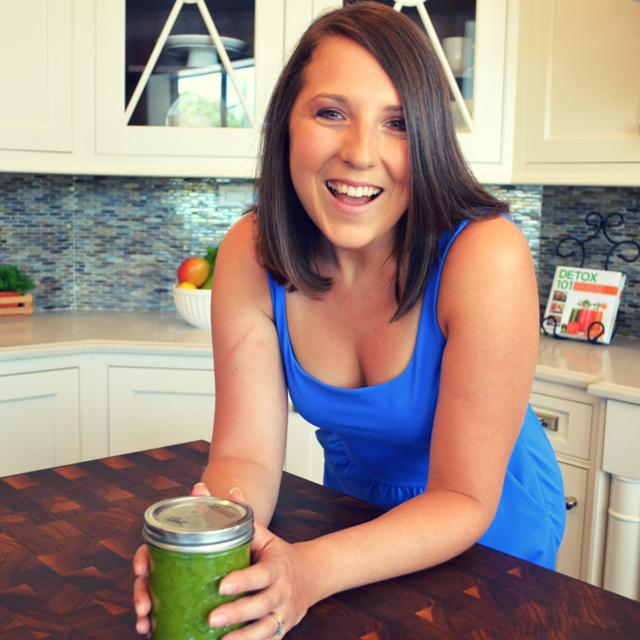 10 days of clean eating, including a mapped out 3 day juice/smoothie cleanse to kickstart your cleanse and get you light and energized in no time. Get rid of the junk and let the light shine through! 10 days of fun and invigorating exercise: Stretch, strengthen, and sweat off those winter layers with a mapped out, self-guided exercise plan. This plan is designed to help you get off the couch, out of your chair, and loving your workout in no time. Get up, get moving, and get energized! In addition to food and exercise plans, it also includes 10 days of deeper detox, through daily inspirations, guide sheets, and time for reflection. Most cleanses offer you plenty of juice recipes or clean eating suggestions. While there is some support along the way, it is mostly focused on the juicing, the detoxifying, and the food portion. And this IS important – because feeding your body good food and flushing out your digestive tract is important to detoxifying – but its not the only part. There are two other components that you will find in this No Guilt Cleanse that are essential, but often missing, from most program. 1) Exercise: Most programs encourage it, but rarely are the exercises mapped out for you. If you are new to exercise, or looking for a way to maintain during a cleanse, it is important to have some markers laid out for you along the way. 2) Digging Deeper: meditations, mantras/quotes, journaling, and guided exercises to help you discover what is really stressing you out, why it’s so stressful, and what you can do about it. THIS is where the real detox happens. Releasing stress, means you automatically feel happier, you fell energized, and you are more likely to make positive/healthy choices throughout the day – without even trying. One of the best parts of this program is the bonus feature: you get 4 E-Guides that you can download and use to redo the cleanse at any time. The guides are for food, exercise, and digging deeper. And the super amazing thing about these guides? They are customizeable, meaning you get to choose the ingredients you use, the exercise moves you perform, and the things you need to declutter from your life. This short program is the real thing – it’s like a 10-day workshop sent straight to your inbox, so you can do it anywhere, at any time that works for you – and it works to clear out and declutter mind-body-soul. You’ll feel lighter inside and out, from head to toe. One of the best things about this plan is it is customizeable to your needs. No juicer? No worries, you can blend your way to the finish line. Need more than just juice? No worries, you can opt for add-ins. Hate following recipes? No problems there! You get to pick-n-choose what you eat/drink and how you put it together with simple guides and food groups for you to choose from. And your exercise is customizeable to, so you don’t have to get bored with the same thing everyday or do the exercises that you just hate and might keep you from exercising at all. There are no strict dietary guidelines or exercise systems to follow. You simply pick a set number from each group, design your own juices, smoothies, meals, and exercises. It’s a simple, fun, and challenging as you need it to be. After you sign up for the full program, you will receive confirmation that you are enrolled in the program. You will gain immediate access to your dashboard, with your guides and plans, all detailed and mapped out for you to start when you are ready. You’ll also get two recordings as your coaching sessions. These are used on Day 3 and Day 9 to help you decipher and questions you might have and how to proceed with the cleanse. It’s on your own time. You get to do what you like, move how you like, eat great food, and leave the stress behind each day, whenever it works for you. – Customizable exercise plan: 10 days of exercise guidelines with pick-n-choose exercises each day, so you get to do what you like and still see results. – Customizable meal plan: A full guide of what the options are, how to put them together, and what the juicing portion entails. – Daily inspirations, guide sheets, and meditations straight to deepen the detox and help seal in the progress you’ve made. – You’ll also receive several surprise bonus guides to help you stay motivated and support your new healthy, happy life. Get ready to feel lighter, less stressed, and ready for your dream life in just 10 Days. Making the decision to join or not can be very difficult. You might be wondering whether or not it’s the right fit for you. You might feel overwhelmed, stressed, and just give up on it completely. 1) Can I still attend my regular exercise classes? Will this interfere with any training or workout routines? You can definitely still do your normal routine. The 10-Day Exercise Plan is mapped out for cardio, strength, stretch, and rest days. You can incorporate your own routine to fit into those days, especially if you are training for an upcoming race. Also keep in mind that the routines and exercises you are given might be very different than what you are used to. This is the perfect opportunity to try something new, workout out your body in a new way – which usually helps to boost muscle mass and burn more fat. So go ahead, just move and groove all 10 days! 2) I’m a vegetarian (or absolutely not vegetarian). Will there be options for me in the meal plan? Absolutely! The 10 Days of meals are customizeable, which means that if you eat meat or don’t eat meat, you’ll be set. If you have any food allergies, this plan will work well for you. There are no set recipes or meals. You get to pick and choose from a group of proteins, veggies, grains, and greens to make up your complete meal. This way, you can learn to make simple, healthy, and delicious meals that work for YOU. 3) Is there any restrictive cleansing during the program or am I free to eat what I want? The only portion of the cleanse that is “restrictive” is the 3 day juice cleanse. During the first three days you will be juicing (aka making your own healthy juices). This is meant to kickstart your detox, cleanse your digestive system, and get you glowing from the inside out. 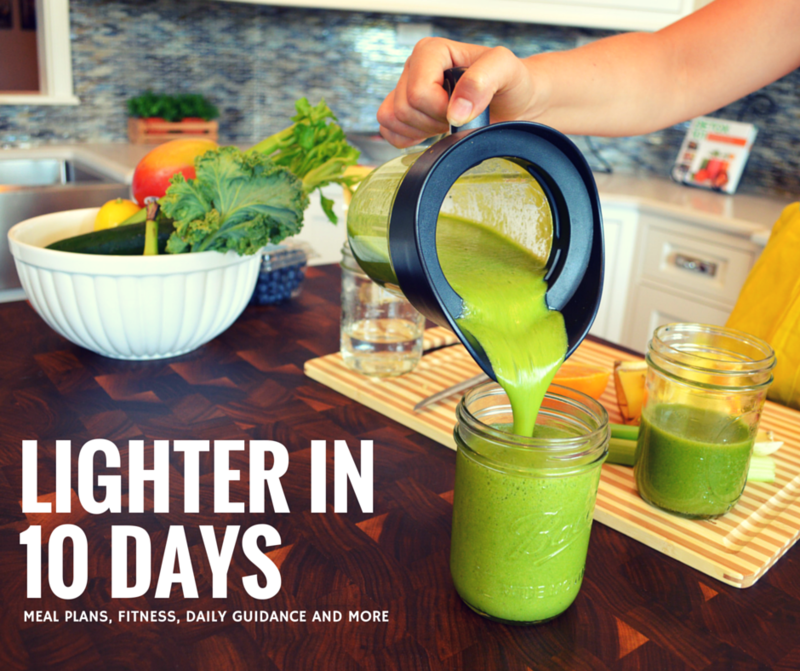 The full details on how to juice and what to juice are included in your 10 Day Meal Plan. If juicing is too restrictive for you, you can make smoothies, drink broth, or even eat soup and raw vegetables. This portion is meant to be the super-duper clean and healthy eating kick-off to your new fabulously healthy lifestyle. 4) What if I don’t have a juicer? You can blend your juice in a blender with water and either drink it as a smoothie or strain it. You can also whip up some smoothies in your blender if you don’t have a mesh strainer. 5) Do I have to do the “juice cleanse” portion? What if I can’t make it through the 3 days? While juicing is the best for this cleanse, there are options for both juices and smoothies in the 10 Day Meal Plan Guide. If you can’t make it through the 3 days, you can always blend up some soup sip on some broth, or snack on some raw veggies and fruits. It seems restrictive, but it will restart your systems and you’ll have plenty of support from me and the others participants to help get you through. 6) I’m really busy on a daily basis. I want to get healthy, but I’m not sure I have the time for this program. How can I fit this into my day? There is no set schedule and the “work” you do everyday won’t take much time. In fact, you might find that the simple meal plan takes less time to prepare than your normal meals. The exercise portion won’t take long and you can always break it up into a few session throughout the day – it’s just important that you keep moving. As for the stress-busters, these take about 5 minutes, more only if you want it to. So yes, this will fit into even the busiest of schedules. 7) Can I use the guides separately if I don’t want to purchase them all? At this time, the program is only available in one package. While you might only want to use a portion of it a this time, you will likely need the fitness, recipes, or meditation (or those bonuses!) in the future and you'll have access to them at any time. 8) I am interested in the program, but want to make sure I am getting my money’s worth. Is this really worth the price? I totally get it! Making sure you spend your hard earned money on something of value is important to you. And it’s important to me too. That’s why I made sure this program would be worth the price. 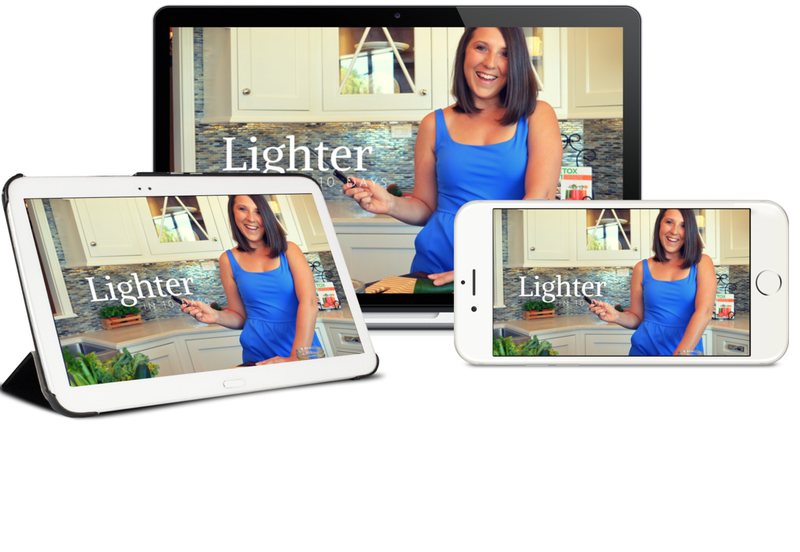 You’ll get 3 Guides that you are able to use at anytime, during or after the cleanse. They can be used for workouts, recipes, or to blast through stress. You’ll also have access to the Facebook community and daily emails until you un-join or delete, so all of the value and info in them is your whenever you need it. You’ll also get plenty of bonus materials during and after the program to help you on your healthy way. You’ll have 2 chances to listen to the coaching sessions audios. Regular, single coaching sessions cost well over $150 (the total cost of the program), which make the program well worth your money. At about $15/day, you’ll be making healthy choices, gaining energy, having fun, and getting truly happy. For more tips on saving money and budgeting for the cleanse, click here. 9) If I’m not happy with it, can I refund my purchase? 10) Is this going to be fun? You bet your buns it will be! This program is designed to be full of fun, stress-free, and energizing. You’ll build new healthy and inspiring habits, meet like-minded individuals on a similar road to health, and have a fabulous time doing it. You get to do what you like, eat what you like, and leave the rest behind. It’s about time you let go of the stress, said goodbye to guilt, and loved the healthy, happy life you deserve! 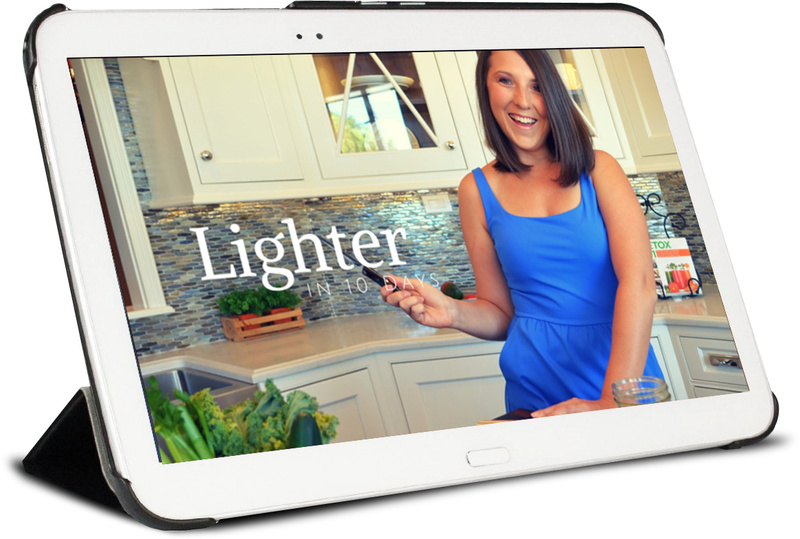 How amazing would it feel to start living now – lighter, brighter, and full of energy? Who says you have to wait until you are a “better” version of yourself to start living? Be the best you now and start living life without the guilt. 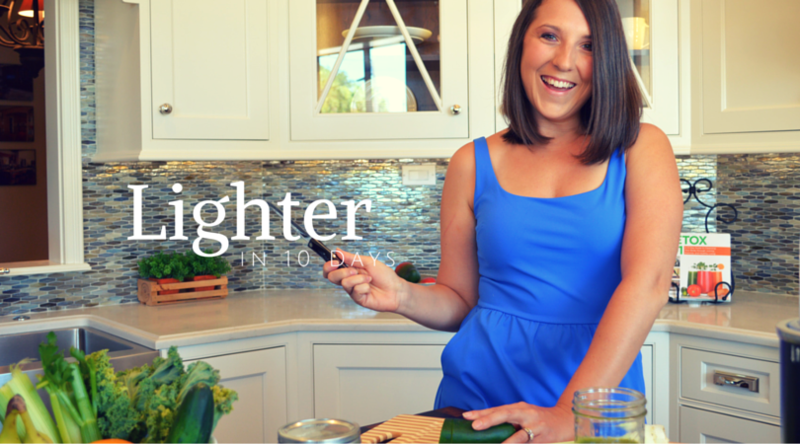 Get lighter, start reaching your goals, and live fully in 10 Days. The entire package includes the guides, recordings, and bonus sheets you won’t get with any other purchase. Works with all PDF capable devices. *Return Policy: Due to the nature of the program (downloadable guides and emails) the program is non-refundable and non-returnable. No exceptions. If you have any questions post purchase, please email jessi@thehouseofhealthy.com. Please remember that this and all other programs are not a substitute for medical advice. Please consult with a physician if you have any prior medical history before beginning this or any other program. Questions, comments, or concerns? I’d love to hear from you and help you make the right decision for you. You can send me a message by emailing jessi@thehouseofhealthy.com. I look forward to working with you as you get a little Lighter in 10 Days.